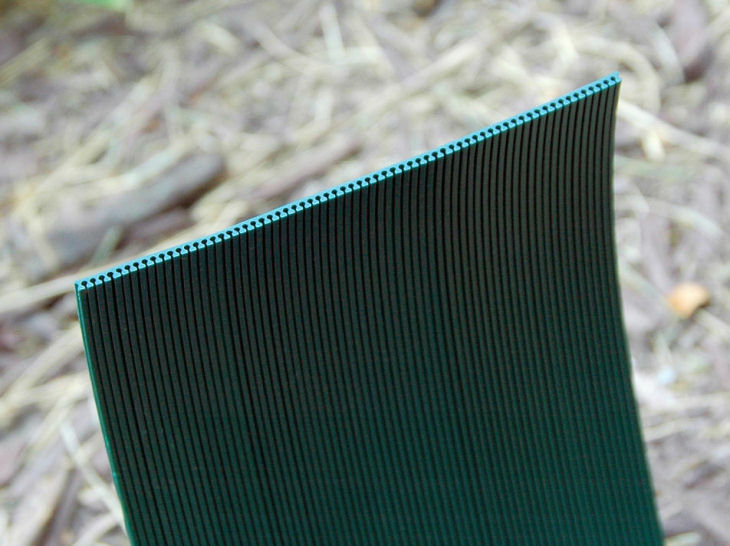 SMART DRAIN� belt is the standard bearer of the SMART DRAIN� drainage system and is recommended for projects such as retaining walls, foundation drainage, golf course drainage and any other project that would require the use of 4" drain pipe or larger. 8" SMART DRAIN� belt can be used in conjunction with SMART DRAIN� wrapped pipe to make the ultimate sub surface drainage system. 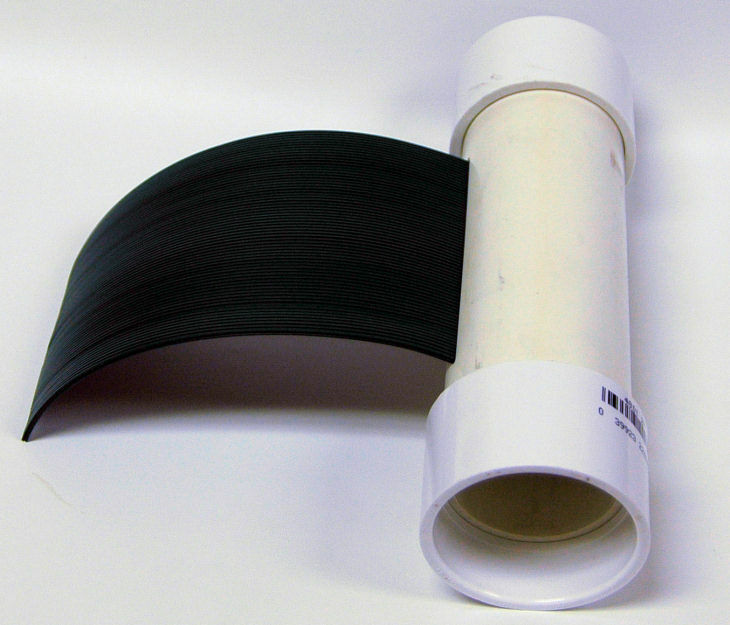 4" SMART DRAIN� belt is an economical, yet effective, alternative to 8" SMART DRAIN�. 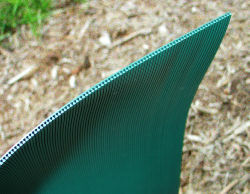 4" SMART DRAIN� belt can be installed in with a 6" wide trencher as opposed to the 10 - 12" wide trenches for 8" wide belt. This smaller belt is perfect for residential lawns and smaller drainage projects that would utilize 3" drainage pipe or smaller. 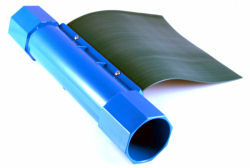 SMART DRAIN� wrapped pipe provides Smart Drain's advanced micro siphoning capabilities in an easy to install pipe form. The wrapped pipe is fast becoming the standard bearer for retrofitting retaining walls since it can be installed into existing walls without any drainage aggregate or filter fabric. SMART DRAIN� wrapped pipe can also be utilized in narrow and tight fitting areas, just like perforated pipe, where is there is not enough space for SMART DRAIN� belt to be installed. Extend and enhance your SMART DRAIN� installation by combining SMART DRAIN� wrapped pipe with SMART DRAIN� belt. This item includes an 8" belt adapter that couples SMART DRAIN� belt with SMART DRAIN� pipe for the ultimate in drainage performance. 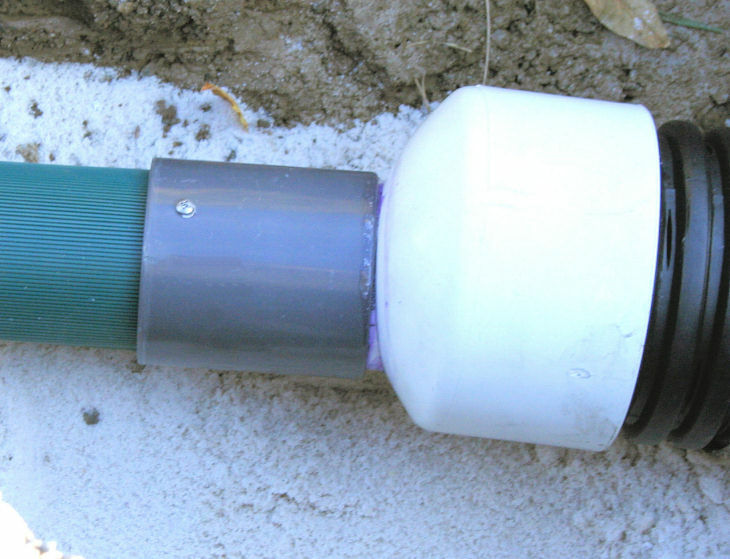 8" SMART DRAIN� belt couplers make for easy and quick coupling of 8" SMART DRAIN� belt to 2" PVC pipe. These time savers get rid of the need to manually slot your PVC pipe which can be time consuming and prone to errors. 4" SMART DRAIN� belt couplers make installing 4" SMART DRAIN� belt a breeze. 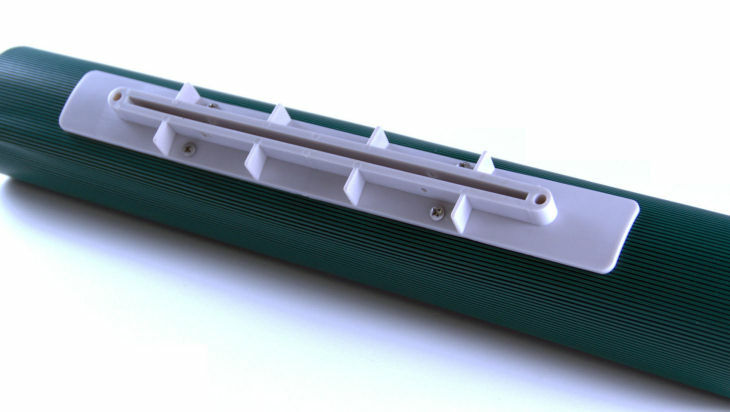 The precision milled slots provide a snug fit for SMART DRAIN� belt. 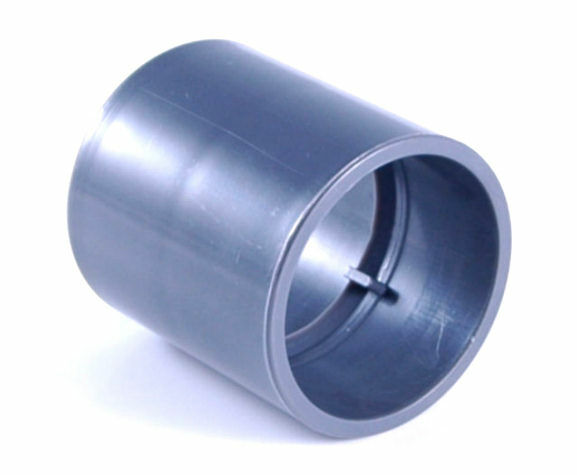 SMART DRAIN� pipe couplers are specially designed for use with SMART DRAIN� wrapped Pipe. These couplers, when connected with SMART DRAIN� wrapped pipe sections, leaves the upstream end of the pipe open to bring water into the center of the pipe and closes off the back end of the next pipe section to prevent backflow of the drained water back into the soil. They also come in handy as end pieces for sections of joined pipe that can either be fitted with an adapter to switch to 2" PVC or as an outlet piece which can be mortared into place (i.e. retaining walls). 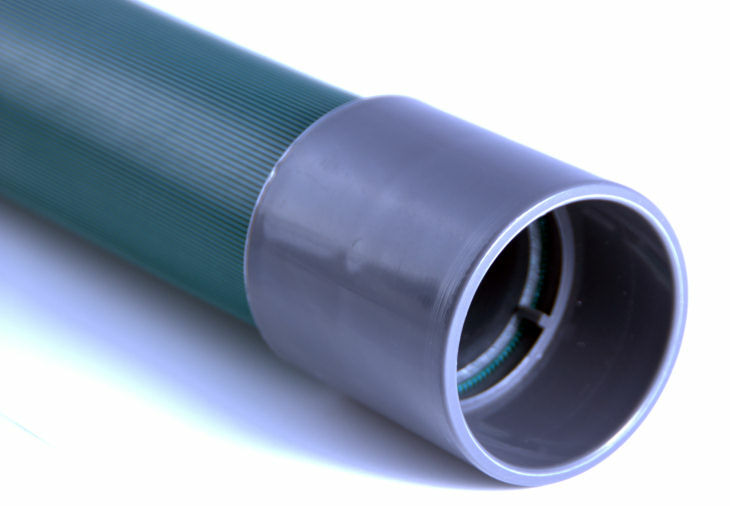 SMART DRAIN� end caps fit perfectly into the SMART DRAIN� wrapped pipe couplers. 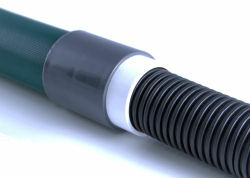 You need one end cap for each series of connected pipe sections if you are going to terminate the line at the first section of pipe. This item connects your SMART DRAIN� wrapped pipe to standard 2" PVC. 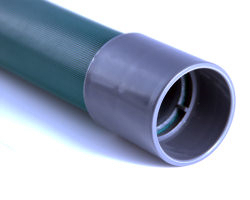 This allows you to use standard 2" PVC fittings and pipe to extend you system or hook up to existing drain lines. 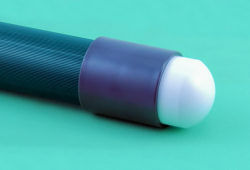 Responding to customer needs, we have come up with this 2" to 4" PVC adapter. Many installations require SMART DRAIN� to be hooked up to 4" drain pipe and this special adapter makes it possible.